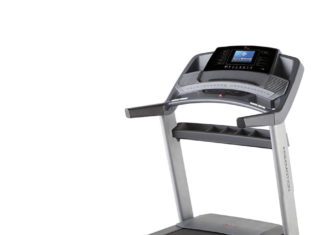 Merit Fitness 715t Plus is a product of Johnson Health Tech –one of the biggest fitness equipment manufacturers in the world. 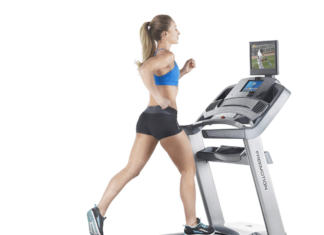 It’s a basic compacted treadmill that delivers a good performance on a budget. It’s equipped with an easy to read LED display that tracks the calories burned, speed, distance, time as well as heart rate. 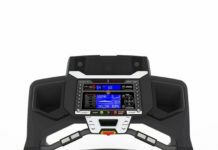 Further, it comes with a thumb pulse which allows you to monitor your heart rate during workouts. This equipment comes with 4 pre-set workout programs. They include manual, rolling hills, intervals, and weight loss. 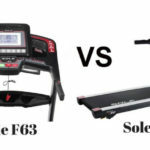 Even though the programs are fewer compared to other treadmills in its price range, they can still help you get in shape and lose weight. This product is equipped with a 1.5 CHP drive system that supports weight up to 250 pounds. This makes it ideal for light jogging and walking as the motor is not strong enough to support intense workouts. Although the motor is not the strongest, it can still serve you for years as its well built. The 715t Plus offers a decent running space of 18ʺ× 47ʺ. It’s suitable for all users, but individuals with long strides might find it uncomfortable to jog on. The 715t Plus has a proper cushioning in place which reduces the risk of injuries. So you don’t need to worry about impact as much as the Aerosoft cushioning system got you covered. This equipment has a maximum speed of 10 miles per hour and an incline of 5%. The incline, however, must be manually operated. Meaning, you have to tilt it manually to your desired percentage. 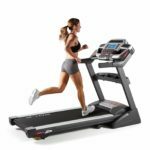 The speed and incline controls can help build your endurance and test your limits. Compact size is ideal for limited space. Easy to use and read console. Thumb pulse heart rate monitor. Manual incline up to 5%. Supports speeds up to 10 mph. The sturdy frame that’s backed by a lifetime warranty. A good cushioning system to protect your joints. The motor is not strong enough. Only 90 days warranty on the machine parts and labor. The running area is quite small for taller users. Question 1: Does this machine have incline and decline control buttons? Answer: The 715t Plus does not have a decline control, but can incline up to 5% manually. Question 2: Can it track calories burned? Question 3: Does the motor also come with a lifetime warranty? Answer: No. The motor comes with a 1-year warranty. Question 4: What is the maximum allowable weight? 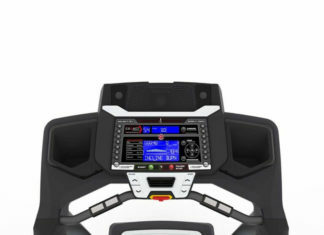 Interested to know what people are saying about the 715t Plus treadmill? Take a look at some of the comments made by customers. 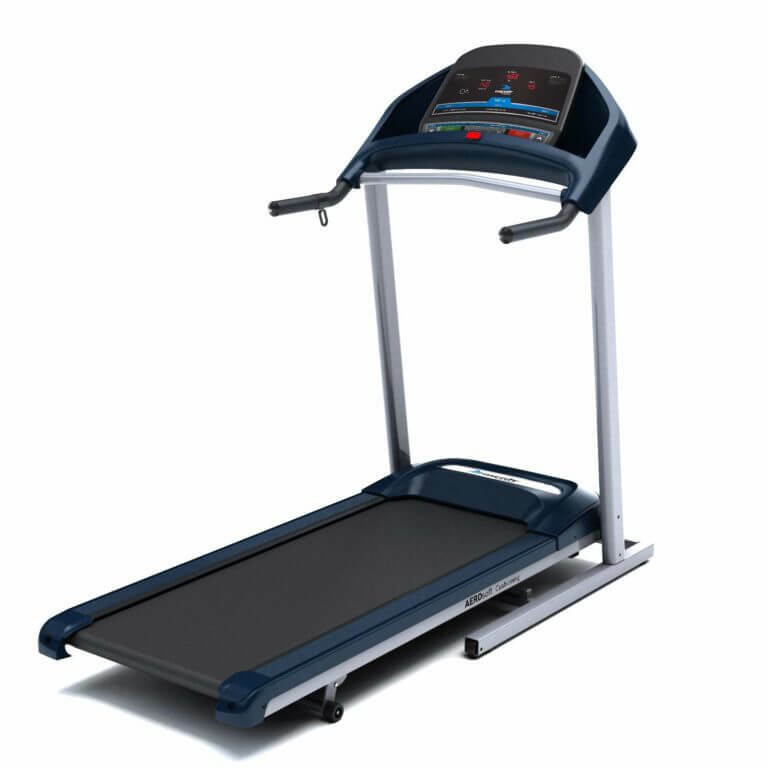 “I am very lazy when it comes to exercise so I bought this treadmill to keep me on my toes. And I must admit it has wondered for me. I always jog every evening and not once has it disappointed me. I’m glad about my purchase!” Naomi Simpsons. “The assembly took me 30 minutes and everything works just fine. I have no complaints yet, but after all, it is just 3 weeks old. I will update you as soon as the machine develops any issues, which I hope won’t happen anytime soon.” JayJay. “Don’t waste your money on this awful piece of equipment. It broke after two weeks of use. Better you invest more money to get a higher quality product.” Gonzalez Gomes. “For the price, it’s okay.” Jean85. Do you want to find out more about what customers are saying about the product? Check out the reviews on Amazon. 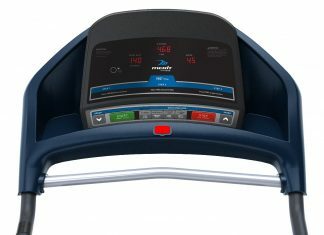 The Merit Fitness 715t Plus is a budget-friendly treadmill that can help you achieve your fitness goals. It is not by any means the highest quality product out there, but it serves its purpose well enough. Further, the console is very simple and quite easy to read. It can track your speed, time, heart rate, distance, and calories burned. 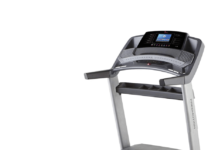 The major downsides of this product are the manual incline and lack of enough power to accommodate intense workouts. Hence, it’s only suitable for walking and light jogging. 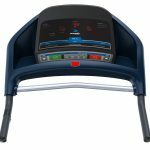 However, if you are a beginner or you are interested in an easy to operate treadmill, Merit Fitness 715t is an excellent choice. Besides, it doesn’t leave a big dent in your wallet. 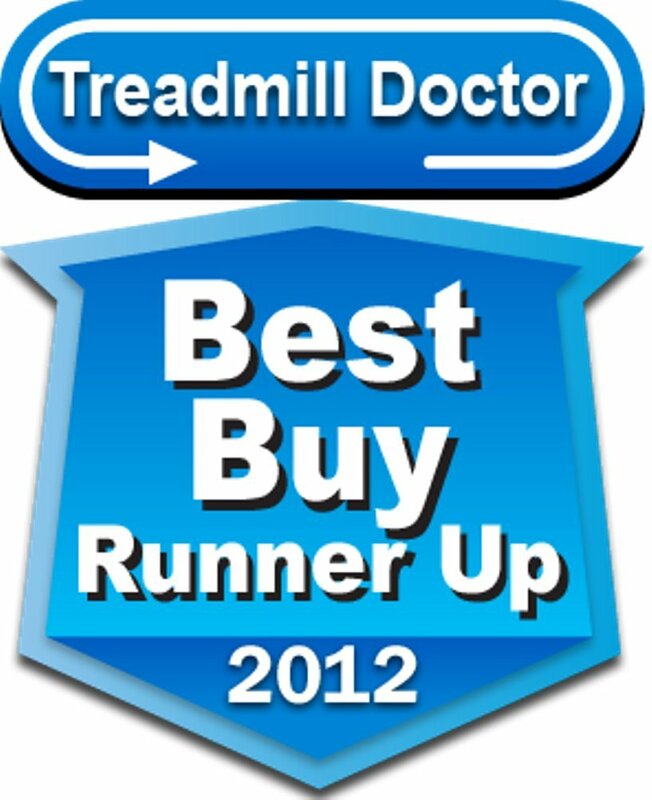 World Best Merit Fitness 715t Plus Treadmill Review for you. 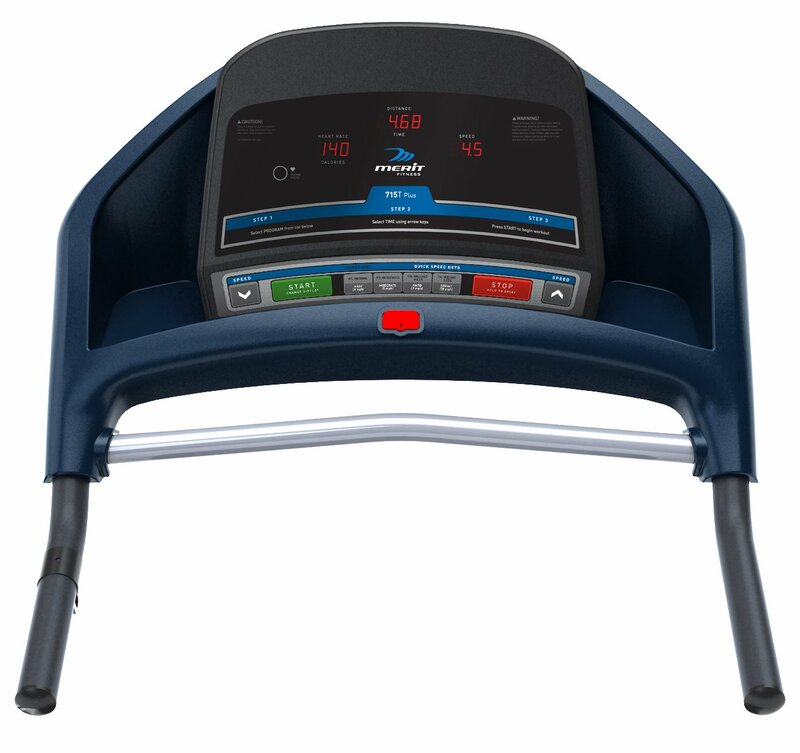 We have discussed Merit Fitness 715t Plus Important Features. Some FAQ.